Hill Top Pottery Works, Burslem - Considering to be "one of the best pottery offices and warehouses" remaining in the city. Wade Heath and Co. and then Wades Ltd. occupied the building from 1954 to 2010. 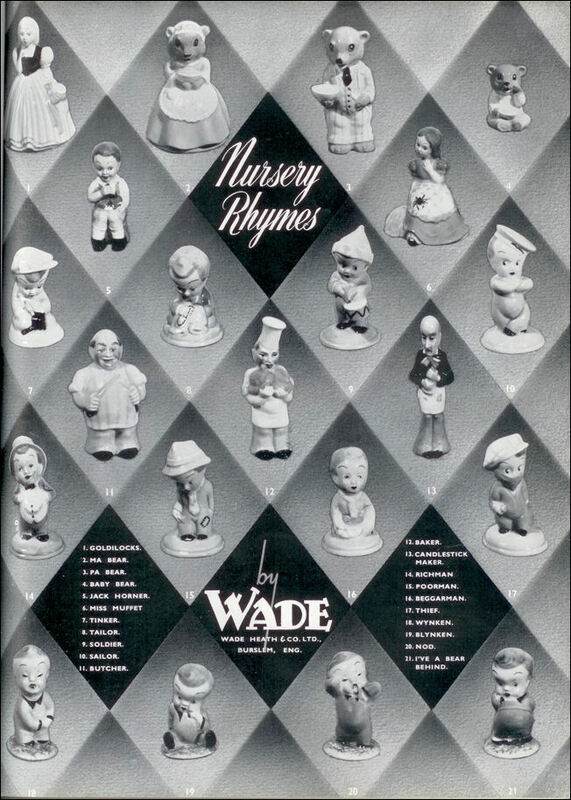 Wade Whimsies - Only in 1953, after Sir George Wade developed Whimsies, a small solid ceramic collectable animal series, did Wade become a household name in the UK and America and the company has been known ever since as the "Home of the Whimsie".